We are excited to offer our fans a rare opportunity to purchase one of a limited number of signed and numbered New Orleans North 2018 Festival poster. This is the first year doing this and these prints are sure to grow in value as we grow. Perfect for your office or on your wall at home. 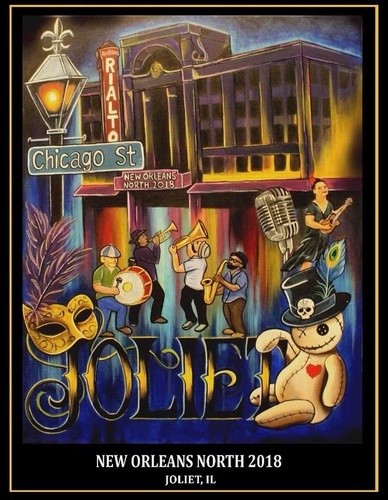 We will be releasing numbered prints, autographed by Joliet artist Ruben Calderon. The poster will be 22" x 28", unframed. Please click on the register now button to purchase your print. Prints will be available for pick up only at the Joliet Chamber office. This presale offer is only good while supplies last. On Sale Now While Supplies Last!